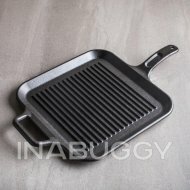 Passion for cooking and concern for the planet has inspired the creation of Ecolution Cookware - a full range of eco-friendly cookware. Cookware by Ecolution with Hydrolon Non-Stick employs a new WATER BASED application system. 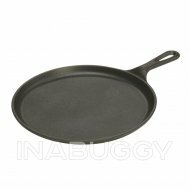 The HYDROLON brand will only be placed on non-stick coatings that do not contain any PFOA, unlike traditional type non-sticks which use PFOA. 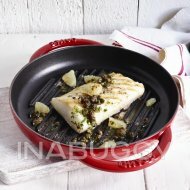 Hydrolon PFOA-Free non-stick is super easy to clean and is dishwasher safe. 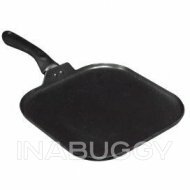 When the non-stick is applied to the metal, the application solvent that evaporates is simply water, greatly reducing emissions. 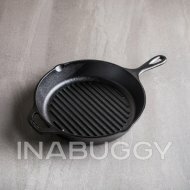 This non-toxic coating is a safer solution for healthy and eco-friendly cooking. 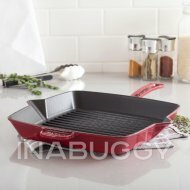 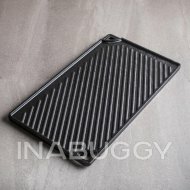 Ecolution Artistry Griddle - 11"
Lodge Logic Cast Iron Grill Pan - 10.25"